For your viewing pleasure this week I tackled the conclusion of the epic Infinite Vacation, another installment of the Detective Comics, The Walking Dead and Negan, and a Star Wars comic that was quite enjoyable. I love reading comics. Infinite Vacation #5 - It took 2 years, but the payoff was astounding. 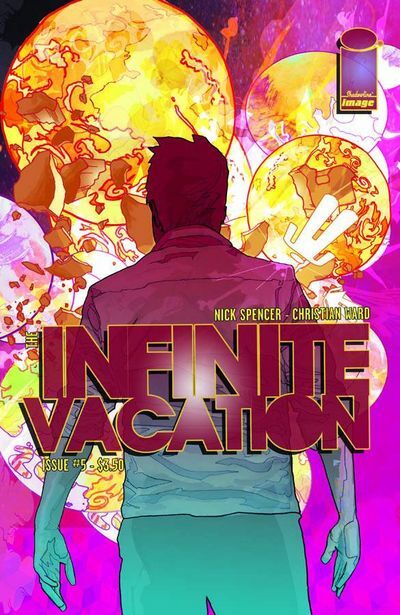 Nick Spencer and Christian Ward created a beautiful book and a stunning conclusion to Infinite Vacation. In this epic finale we learn of Mark's plan, which involved many other Marks, and his narrow escape to set things right. What happens between him and Claire? You should really pick up all of these books (only 5 issues!) and enjoy this twisted story with loads and loads of heart. The design of this book alone warrants the purchase of a physical copy. Ward outdoes himself and really delivered a stunning final book. Click here to read my thoughts on the first 4 issues if you so desire. 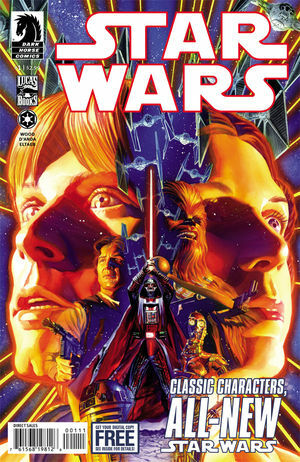 Star Wars #1 - Dark Horse has started a new ongoing Star Wars comic penned by Brian Wood. If you are a fan of the original trilogy then I think you will be pleased with this debut. Taking place following the conclusion of Episode IV, the rebellion is looking for a new location to establish a rebel base, but fear a spy is among them. Meanwhile, the Emperor is displeased with Vader's failure and sets some things in motion that do not please Vader. Very happy with the start of this series and I look forward to what happens next. Repossessed #1 - I gave this title a shot in the dark in the hopes of discovering a new surprise book and was not successful. The premise is an agency that, for a fee, will repossess demons from loved ones. They are sent to pursue a client they don't feel is truly possessed and accept as it pays well. Turns out, the demons are trying to trap them and they are in a hairy situation. While the premise is OK, I can't say that the art or story did anything to draw me in. 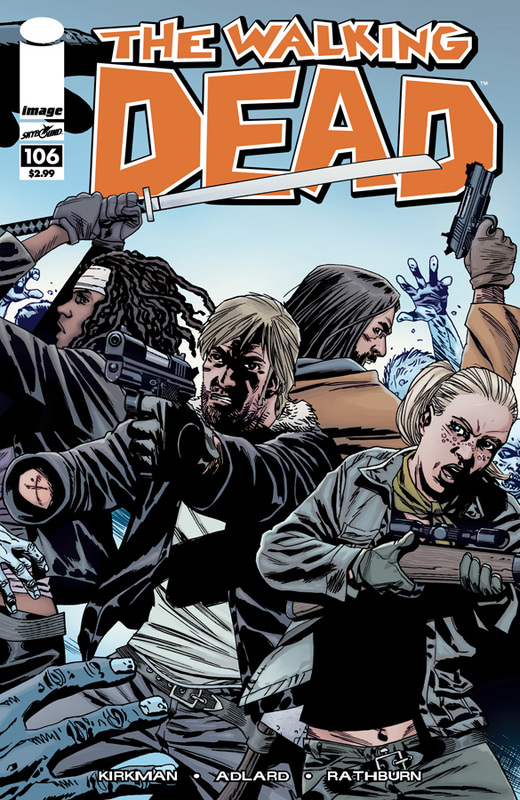 Walking Dead #106 - Not a whole lot happened in this issue, but Kirkman is the master of delivering a final panel that leaves you begging for the next issue. Rick finally finds where Negan's camp is and plans on finding out if Carl is there. Some good zombie action and Carl continues to impress in a good issue, but one that left me wanting more. 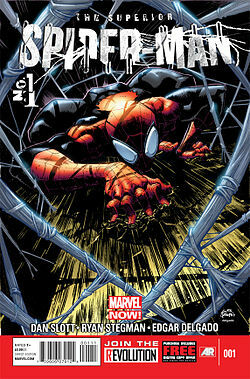 Superior Spider-man #1 - After the events of Spider-man #700 I was intrigued enough to pick up this issue. We get to experience Octavius at the helm of Parker and Spider-man and I found it quite enjoyable. While creepy at times, when he is with Mary Jane, the internal struggle and the increase in intellect really breathed some fresh air into this franchise. Definitely a good start to a series that I imagine a lot of people have issue with. Detective Comics #16 - The Death of the Family event continues in this issue as Batman is trying to clean up the streets of copycat Joker gangs. The difficulty lies in stopping the ones that are an actual threat and simply scaring the ones that are not legitimate. This book shines in the second story in which we learn of the exploits of the new Penguin, the Emperor Penguin. Clearly Ignatius Ogilvy is going to be a villain who will see a rise in power while Gotham is distracted by the Joker. Well done Layman.